If there’s one thing American-built performance cars are known for, then it’s that longstanding devotion to raw horsepower and outright off-the-line speed. Some may consider this uncultured, but perhaps it’s because they don’t fully get what America is all about: bigger is better. Bigger cars, houses, wide open fields, and horsepower. Hence we have cars like the SRT Viper, Chevy Corvette Z06 and the Ford Mustang Shelby GT500. 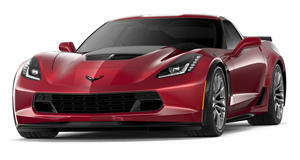 Considering the least powerful car here is the Z06 with 505 hp, pitting the three against one another on the straightway sounds like one of the best ideas in like, well, ever. With a combined total of 1,800 hp, these are three of America’s finest high-performance beasts. But how do they stack up against each other?